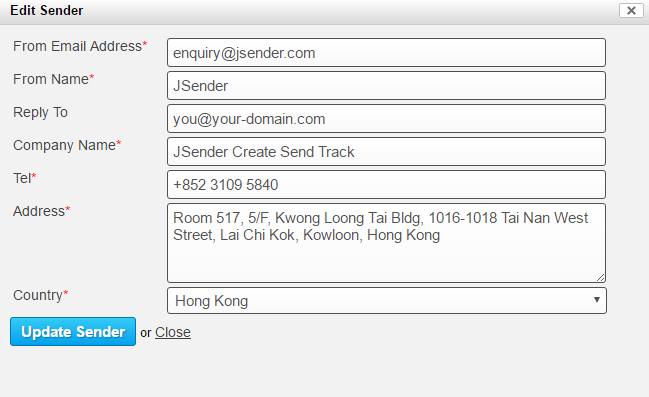 In JSender, you can manage how your customers reply your message, by setting the "Reply To" address of the sender information, you can redirect your customer to reply to a specific address instead of your "From Address". However, it applies to your customer clicking the reply button himself/herself. Most of the "Auto-Reply" mechanism of the email service provider (ESP), like Gmail or Yahoo, will reply to the "From Address" (instead of the "Reply-To") for auto reply, for instance, vocation auto reply. JSender has no right to control how the ESP reply the email. Therefore, please make sure you can receive the email in "From Address" if getting (even) the auto reply message is important to you.